Is Weekend Sleeping-In Bad for Your Health? 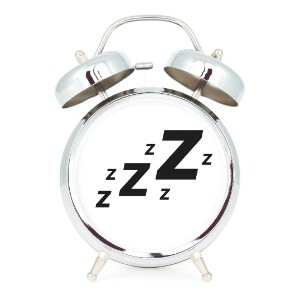 Home > California Health Insurance News > California Association of Realtors > Is Weekend Sleeping-In Bad for Your Health? After a hard week of work, it’s not surprising that many people try to sleep-in during the weekend. The importance of sleep is well known, but sleeping-in may not actually be a healthy habit. A study was recently conducted at Johns Hopkins University School of Medicine. It focused on whether or not weekend catch-up sleep is protective. It turns out that even if you sleep longer on the weekends in an attempt to make up loss of sleep during the week, you’re more likely to eat too much and to gain weight as a result. The problem is that sleeping extra hours on the weekend to try to make up for the lack of sleep you got during the week won’t correct your body’s inability to regulate blood sugar. And if you’re not getting enough sleep during the week in the first place, then you’re probably doing things that could hurt your health long-term, such as overeating. The Johns Hopkins study involved 35 subjects divided into three groups. Each group had different sleep requirements over the course of a 10-day period. None of these subjects had health issues or newborns that could impact their sleep. The first group was allowed nine hours of sleep each night. The second group was allowed five hours of sleep a night. The third group was allowed to sleep five hours a night during the week, but was given the chance to sleep as long as they wanted during the weekend. Both sleep-deprived groups ate more after dinner and gained weight following the study, despite one of those groups being allowed to catch up on sleep during the weekend. People eat more when they are sleep deprived because their bodies are burning more calories. Sleeping-in during the weekends won’t help if you’re not getting enough sleep during the week. For more health news, visit The Benefits Store today.